Now available from Robin Snyder is MR. A. #15. 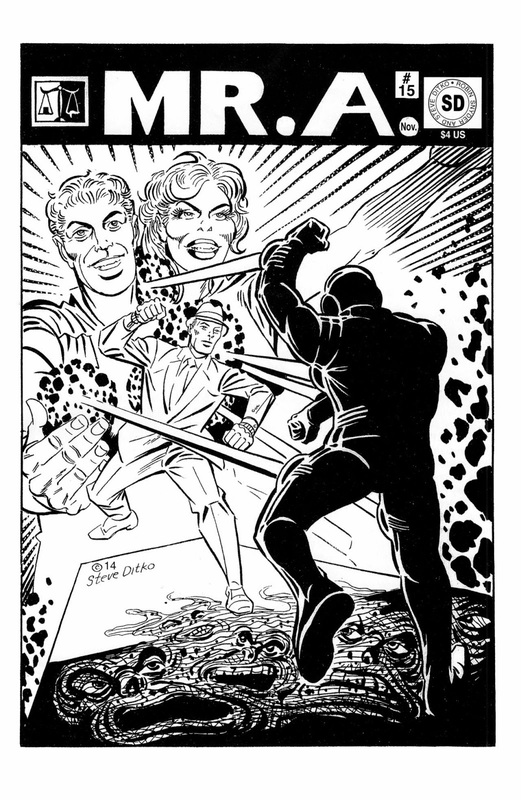 This contains two new Mr. A. stories, "The Best Deal" (20-pages) and "Exploder" (11-pages), that Ditko originally intended for the first issue of a MR. A. series solicited but unpublished by AAA circa 1990, the front and back cover for that issue and a classic Mr. A. page first seen on the back cover of the 1973 issue of MR. A. And I thought I had posted about it before, but apparently not, so I'll just mention that #20 (or as I still like to call it, "#SNAKE FACE") is also out, with Miss Eerie, The Cape and more. It also announces the next book in the series, which appears to be called #2oww1 and will feature The Outline, The !? and The Grey Negotiator. 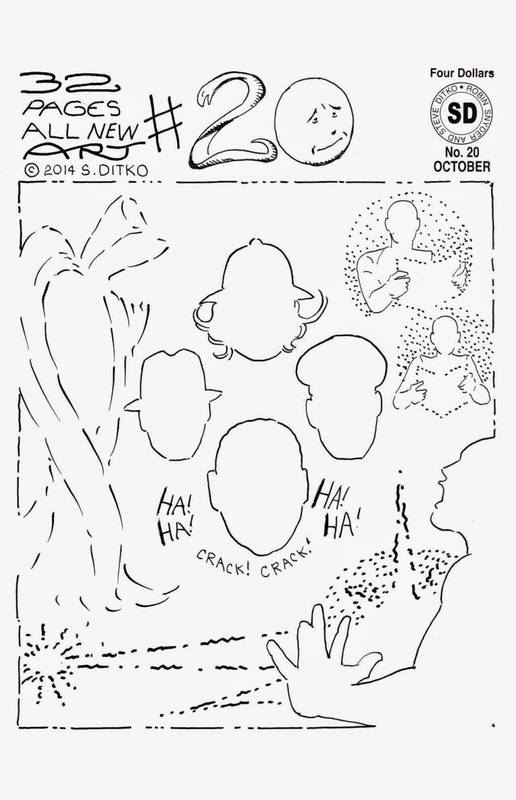 THE FOUR-PAGE SERIES might have some more issues, and while I can't say for certain that more Mr. A. is in the pipeline, I will note that Ditko kept the "Coming: The Origin Of Mr. A." blurb on the last page of "The Best Deal".